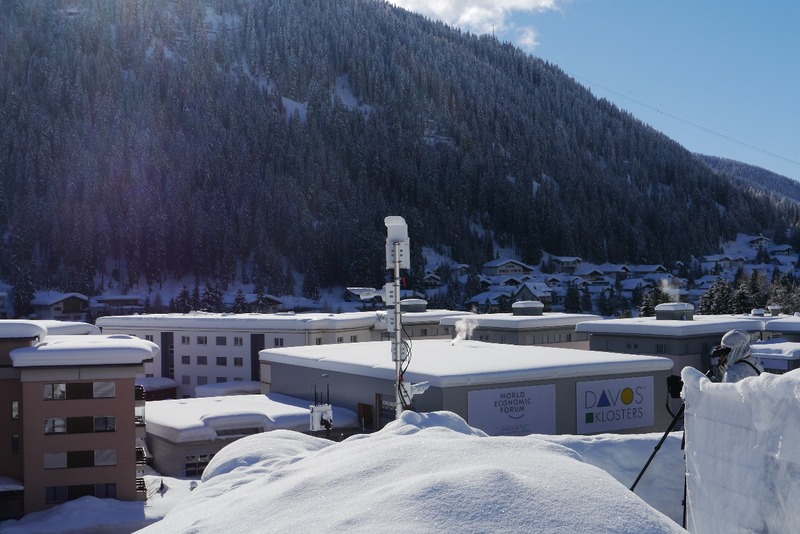 Dedrone, the market and technology leader in airspace security, today announced a successful deployment of their technology at a 2018 Global Economic Meeting in Davos, Switzerland. The airspace security company provided drone detection for the second year in a row, working with local police departments and security advisors. Dedrone technology was used by local police of the Canton of Graubünden, who were responsible for ensuring the safety of domestic and foreign visitors. The installation incorporated Dedrone’s radio frequency sensor and other passive sensors including cameras and microphones. Data collected was analyzed through DroneTracker software, which utilizes advanced, machine-learning algorithms, enabling security personnel to automatically and reliably detect the difference between drones and other moving objects in the airspace. Over 3,000 attendees attended the week-long event. “This Global Economic Meeting is headlined by the world’s most compelling politicians, scientists, and leaders, who have security teams dedicated to every aspect of their travel. The police of the Canton of Graubünden recognize the risks that drones pose, and for the second year in a row, have relied on Dedrone’s technology to protect their airspace,” shares Joerg Lamprecht, CEO, and co-founder of Dedrone. The Global Economic Meeting airspace was monitored in real time and, if necessary, police could intervene and stop a drone threat at an early stage. "With Dedrone, we have found a completely reliable and innovative partner who complements our protective measures in the area of drone defense with their technology,” shared a spokesperson with the Canton Police of Graubünden. In the event of an intrusion, the police were provided drone defeat technology from H.P. Marketing & Consulting Wüst, (HP Wüst). Dedrone provides a complete, automatic drone detection and security solution. Early warning, classification, and protection against drone threats are enabled through machine learning software combined with data from intelligent sensors. The Dedrone platform integrates with passive and active countermeasures to deliver automated protection against drone threats. Based in San Francisco, Dedrone was founded in 2014 and is backed by investors including Felicis Ventures, Menlo Ventures, and John Chambers, Founder of JC2 Ventures and Chairman Emeritus of Cisco Systems.